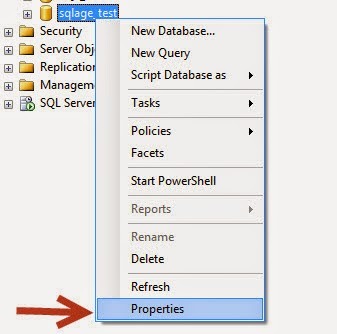 First and foremost consideration that you need to take into account is your database performance, shrinking database files or log files might be alright when it comes to TEST, DEV environments, however I would avoid in production environment. Shrinking database will give you unused space back, which might look great at the time being but back behind the scene it is causing high fragmentation, high fragmentation means poor performance of database. We will talk about adverse effects of shrinking database later in this post. Let's talk about first how to shrink the database files. 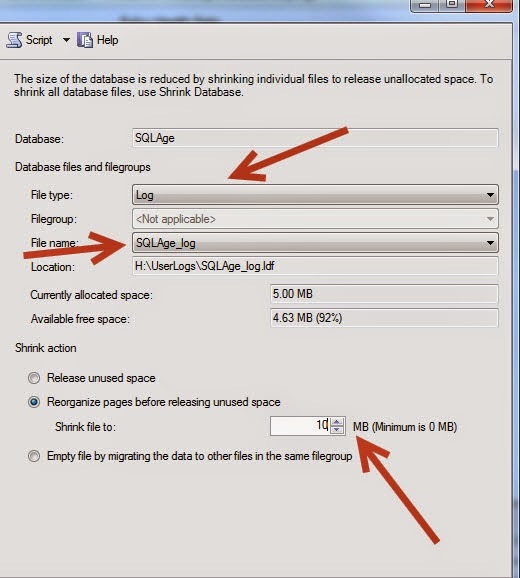 DBCC SHRINKFILE (SQLAge_LOg, 10); -- This will reduce the log file size to 10mb. I would avoid shrinking the entire database, Best way to do it is shrinking the files of a database, log and/or data files separately. 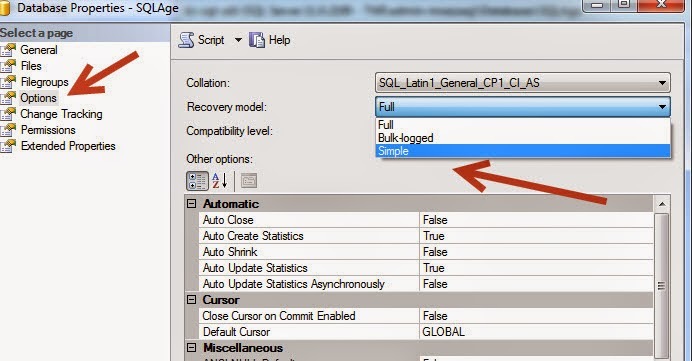 Note: Keep in mind running above T-SQL will break the Transactional log backup chain, you might want to run FULL backup of the database right after above operation.